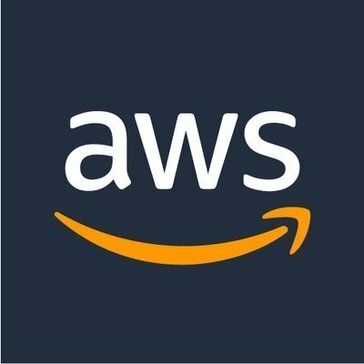 Work for AWS Management Console? Learning about AWS Management Console? "Best Solution Set In The Market"
The products work as promised, and exceed our expectations in almost all cases. When things go wrong, AWS handles in a way I wish every vendor would. Moving a large, complex set of workloads requires developing a lot of in house expertise. While AWS has a number of extremely skilled folks that helped us with the task, there is still opportunity to explore models of engagement that would make the inevitable troubleshooting/etc smoother. Recruit fresh talent to augment existing internal staff. Conceptual changes in approach are challenging to some longtime IT engineering and architecture staff. The move to AWS, and, indeed any provider, requires thoughtful refactoring of solutions. Having experienced engineers who are not emotionally attached to their existing solution or approach is helpful when migrating existing solutions. AWS will provide support / guidance / best practice examples, but those often miss the nuances of your specific use case. We would ensure that stakeholders across our enterprise were more involved as we started out of the gates. We have large, traditional hosting and operations organizations that have established methodologies for these areas and work in established ways with the development organization. Identifying a group of cross-cutting stakeholders who can recognize and adapt to the advantages offered in general by public cloud iaas and paas would perhaps have avoided some of the internal obstacles experienced as we broadened the scope and scale of use down the road. "Easy to use and manage my servers"
The best part is the speed and ease of access while using the management console. Using the management console it is very easy to create/terminate a server and also monitor or change the server properties. It gives us a unified space to manage a huge variety of AWS services that we may be using for our projects. I do not like the UI much. The UI could have been much better considering that it has been so long since AWS has been operational now. It still looks like a very naive approach to design. "AWS Management Console Is Not The Most Intuitive To Use." AWS Management Console Is Not The Most Intuitive To Use But if you read the support instructions you can work your way through it. I would say it's not a tool for entry-level users, but if you know what you want the support probably exists to show you how to do it. Easier to use and understand. Sometimes functions are hidden in places that I would not expect them to be. The most important thing for me is always be aware of any changes in the field of my business. This is what keeps me on top. And this is exactly the opportunity that the AWS platform provides. A wide range of AWS services is ideal for responding as quickly as possible to decide whether to launch a new product (for example, CodeDeploy, Opsworks, Lambda). Security AWS is also at a high level, and of course, an extensive partner system meets all modern needs. And the coolest thing: you have access to all these services 24/7 from anywhere in the world since they are in the cloud. In my opinion, to make it easier to use the application, it is worth adding a function of role switch for logged in users. Aws ensures uninterrupted and around-the-clock operation of mission-critical applications that they use in their business. This allows me to increase my profit. I also need AWS for everyday tasks: to simplify infrastructure management, ensure rapid deployment, lower costs and increase profits. "AWS Management Console has a great UI"
When I first tried Aws management console I was surprised that a “web service” comes without a web browser based UI. It has to be managed with amazon API command tools, however as these tools are still required because the AWS console doesn’t offer all the features. I was still very surprised and happy with the software. Now that the web interface supports most important functions. It’s easy to only want to use AWS, so therefore I have no dislikes about the AWSmanagement console. We really solved the problem of having too many softwares. By using AWS and all its amazing functions and capabilities we find ourselves only needing one platform rather than multiple previously. I like the ease of use and the visual appeal that the tool has. There are so many different options to be able to manage servers and monitor them. Alerts, called CloudWatch Alarms, can be set up as another monitoring or management tool and is a really useful browser-based GUI for cloud computing that we use. It is nice being able to have a tool that provides management of EC2 instances and use of the S3 storage buckets, a way to connect multiple amazon services. There really isn't anything to dislike, there are a number of opportunities to grow and learn about new technologies that may never be used for business purposes but it is nice to have them. AWS is the best cloud service provider in the internet. AWS is very complete and allows you to provision multiple servers on demand to fill your needs. AWS Console is very easy to user and powerful. Also it has a lot of help links and services to learn what each feature does. Sometimes it is a bit hard to navigate and find the options you are looking for. This is due to the fact that it is very powerful but does come at the expense of training and ramping up on how to use AWS. It can be a bit intimidating at first but once you learn the basics it is very easy to use. I totally recommend AWS and AWS console. It works very well and it is very powerful. Most of the functionality can be deployed right away without much time spent reading tutorials or manuals. This tool is very useful for any system administrator that needs to scale server or services on the internet. We are using it to provision our servers and scale. "AWS Management Console for Test Environments"
The ease of use to check the status of the on demand environments being created or to kick off the creation of an environment based on the supplied config files to the console. So far the usage has been smooth sailing. We are very impressed by what we have used it for. I am yet to see an issue or a design flaw. 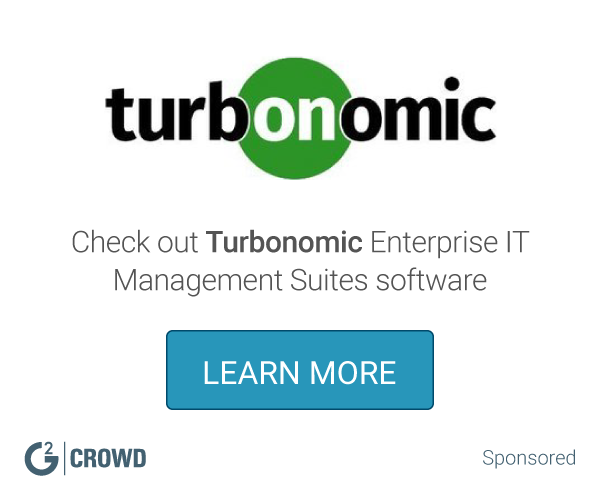 Creating on demand test environments. "Simple, straightforward and easy to use"
The layout is very simple and easy to use, even for people who have never accessed it before. There is nothing I dislike about the product. Check costs first as some things can be more expensive than doing them locally. It easily displays everything that is required to complete an IT person's job role. It puts everything in one place making it easier to navigate, but also separates the different regions so as not to confuse people. "Easy to use, always updated with new features, has the controls needed"
"Useful but interface is intimidating and hard to find what you need"
Managing AWS S3 and AWS ElasticBeanstalk. AWS CLI is used for deployments but use management console when there's an error with the deployment. "The most user friendly cloud services available in market"
I was initially working with a company that was into layer 7 firewalls. I worked on multiple platforms to deploy these virtual firewalls however the ease and features that AWS console provides is unmatchable. It is very easy to locate everything because of the User Interface. A little more flexibility and customization for the customers should be provided and it will really help. I was initially using it for deploying firewalls and threat defense products. I am now using it for deploying VM's and also to backup up my storage on S3 buckets. "AWS is a great console once familiar"
The console has many features available. It allows for very granular control of public cloud resources. Features are located in categories easy to understand and locate. The inability to change item names can make things confusing. All options are always available, complicating simple installs. Instant compute, public DNS, and cloud availability. High availability. "Great Overview of all the AWS instances and functions running at once"
I don't like the fact that there isn't enough data shown without having to use the dashboard to move to a specific instance. It should provide a better overview. AWS Management Console is a complimentary feature when using AW. N/A, this feature exists to interface with AWS. It is simple to use. No prior knowledge is needed. "I love the AWS Management Console"
The cost of the service is awesome and it intergrates. Not very easy to navigate through and needs better instructions. * We monitor all AWS Management Console reviews to prevent fraudulent reviews and keep review quality high. We do not post reviews by company employees or direct competitors. Validated reviews require the user to submit a screenshot of the product containing their user ID, in order to verify a user is an actual user of the product. Hi there! Are you looking to implement a solution like AWS Management Console?